Boasting strong infrared and ultraviolet blocking capabilities, a recently launched thermal insulation coating for glass has been selected and installed by contractors performing energy efficient upgrades at three federal buildings in Texas. 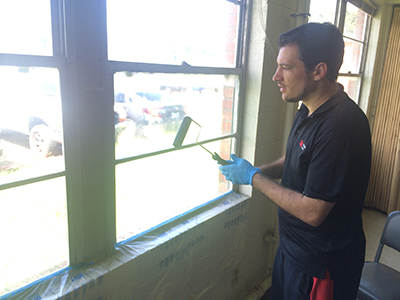 Liquid NanoTint provides a non-invasive and cost-effective alternative to the installation of new double pane windows, while providing the same type of energy savings, according to the Los Angeles-based nanotechnology manufacturer, DryWired. 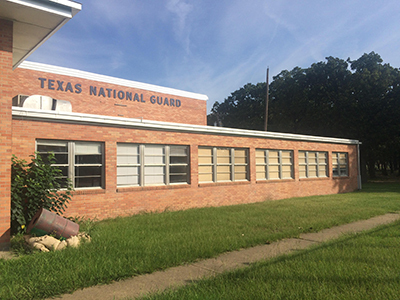 The product was recently specified and installed at the Texas National Guard building and two readiness centers in Weatherford, TX and Terrell, TX. The product is available in two versions: Nanotint, which offers 100 percent protection from UV, up to 95 percent protection from IR and a visible light transmission of 75 percent; and Nanotint Clear, which also provides 100 percent protection from UV and 80 to 85 percent protection from IR, while maintaining approximately 90 percent VLT, the company says. The product can be applied like paint to existing windows, and forms a 10 micron-thick self-leveling clear coat that bonds directly to glass and polycarbonate surfaces. According to the company, the product will not delaminate, crack, bubble or fade over time, lasting a minimum of 10 years.